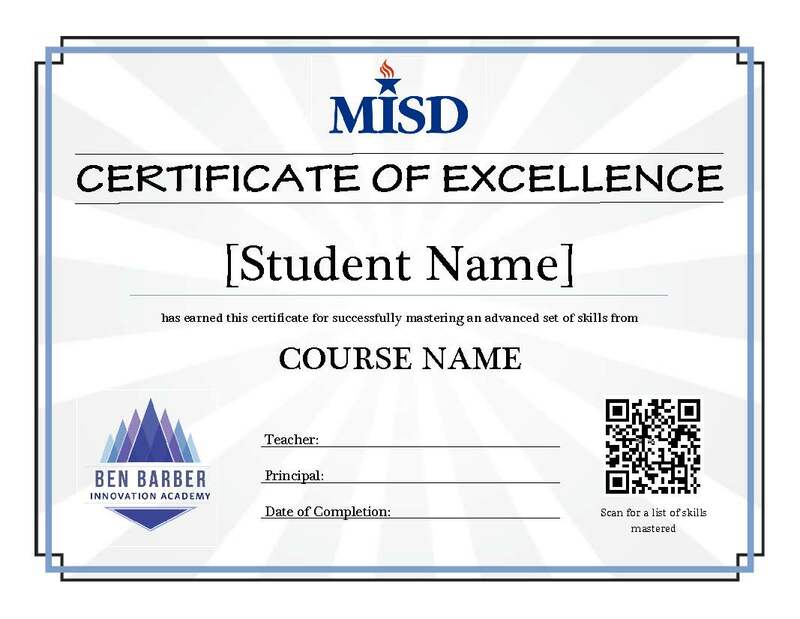 These certificates are available for MISD students to earn at BBIA during the 2017-18 school year. Listed alphabetically. Link is to information (PDF).